When the neck skin becomes inelastic or there is fat accumulation. People with neck fat-especially women, tend to suffer from a sense of low self esteem. As such, there is need to undergo neck liposuction in order to tighten the skin as well as get rid of the fat deposits. Our expert of liposuction in Sydney performs various forms of cosmetic surgery procedures including neck liposuction. In this article, we will discuss the following are the advantages and disadvantages of neck liposuction. Neck liposuction is one of the least expensive surgical procedures available at our liposuction clinic in Sydney. Not only that, it is also highly effective especially when the surgeon uses either tumescent liposuction or Ultrasonic Assisted Liposuction, UAL in short. This procedure helps you get rid of all the fat in your neck so that your confidence and self-esteem can be reclaimed. As noted above, either of the techniques is quite effective, hence you are guaranteed that they will work. Neck liposuction leads to a smooth, well contoured and tight skin. This explains why many people prefer this surgical procedure. A well done neck liposuction will greatly boost your image in terms of your appearance. You will look younger and more appealing. Recovery from neck liposuction is usually swift, which means you will only take a week or so before you are back on your feet. The surgeon will give you a compression garment to wear in order to reduce swelling and bruising. The compression garment also protects the areas where incisions have been made so that you recover faster. It is just like any other surgery with inherent risks such as bleeding and bruising. There are many other risks, which calls for one to be in absolute health before they consider going the neck liposuction way. This is a cosmetic procedure hence not insurable. This ideally means that patients have to bear the cost on their own as an out of pocket expense. 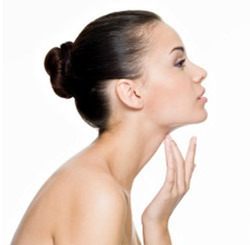 Neck liposuction will lead to numbness especially in the jaw or the area around the mouth. The latter will however apply more in regard to the chin procedure. The part affected most is the one referred to as the marginal mandible nerve. This occurs due to the using of surgical instruments which cause inflammation. This could be a serious complication that could make neck liposuction a less popular choice. However, in most cases, this is usually a temporary setback and the patient is able to recover after a while. This surgical procedure could lead to loss of blood if the surgeon is not keen enough. The surgical instruments used could lead to bruising inside the skin hence the bleeding. For more information, visit our liposuction gallery to view the before and after photos. Skin may fail to retract fully after the neck liposuction, which basically means that the skin will not become tight at the same time. The uneven tightening of the skin could lead to rough or disproportionate appearance. Hard scar tissue formation is one of the disadvantages or side effect of neck liposuction.